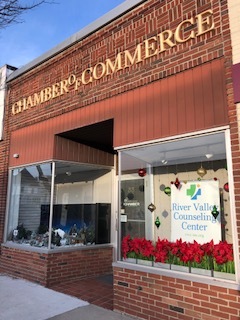 River Valley Counseling Center, Inc. (RVCC) is a multifaceted mental health agency with a 65 year history of changing lives and empowering our community throughout the Pioneer Valley. RVCC is a member of Valley Health Systems in Holyoke, which includes the affiliates Holyoke Medical Center, Holyoke Visiting Nurse Association & Hospice Life Care, and Holyoke Medical Group. 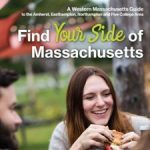 The agency’s outpatient mental health clinics, located in Holyoke, Chicopee, Springfield, and Easthampton serve thousands of individuals each year. Therapists work with each client to determine the course of treatment and offer compassionate, respectful, community-based care, and rehabilitative services for children, individuals, couples, and families. Working collaboratively with local school districts, the agency provides mental health counseling in schools throughout Hampden and Hampshire Counties. In the fall of 2017, RVCC began offering mental health counseling on the campus of Springfield Technical Community College. Since the early 1980’s, RVCC has been operating three school-based health centers (Teen Clinics) providing health services to students at Holyoke High School, Dean Technical Vocational High School, and William R. Peck School. Our team of caring professionals also delivers the following services: the HIV/AIDS Project, CONCERN: Employee Assistance Program, and CBHI (Children’s Behavioral Health Initiative) services. RVCC is also the mental health provider for the clients of WestMass Elder Care Inc., LifePath, ROCA, and Womanshelter/Companeras. School-based mental health services throughout all Easthampto, Holyoke, Chicopee, Granby and select schools in Spfld.